Distorsion Records has been an established Record Label for over 6 years. Delivering some of the most cutting edge material from artists all over the world, we've developed great releases in the genres of: Breaks, Glitch Hop, Trap, Dubstep, Deep House,Garage and more. We are a label that is all about making people have fun and getting on the dance floor. That is our definition and style and we're confident that if you aren't a fan of Distorsion today, then you will be tomorrow. Keep it Breakin'! Upside Down is a pretty cheerful track, composed by harmonies and complex synths, always accompanied by good vocal. 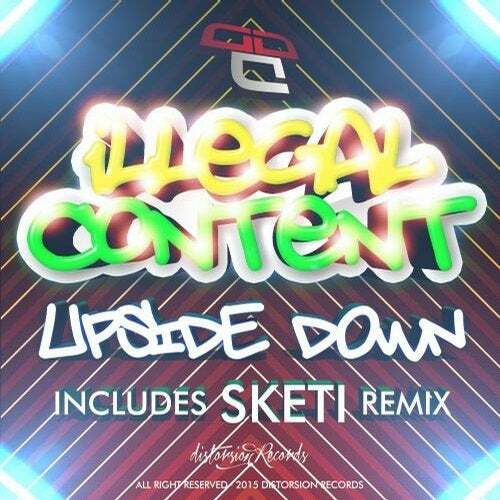 Sketi, renowned English artist presents their remix, much more serious and forceful.